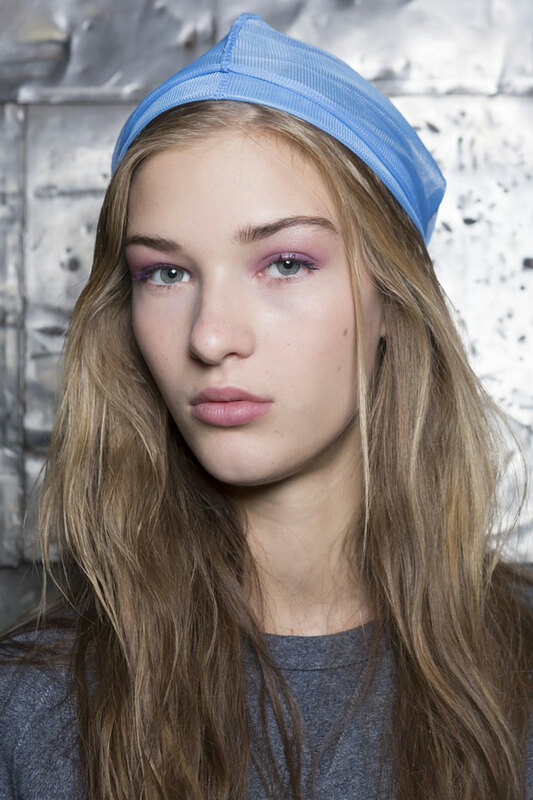 Ever since we spotted the pastel shade of lilac backstage at Sally LaPointe courtesy of Kabuki, we had a feeling we’d be seeing shades of purple again. Later in the week, the color popped up at Derek Lam thanks to makeup pro Tom Pecheux, who mixed MAC’s Violetta Lipstick ($16) with a taupe-colored eyeshadow, and then finished off the look with one coat of black mascara and one coat of — you guessed it — purple mascara. 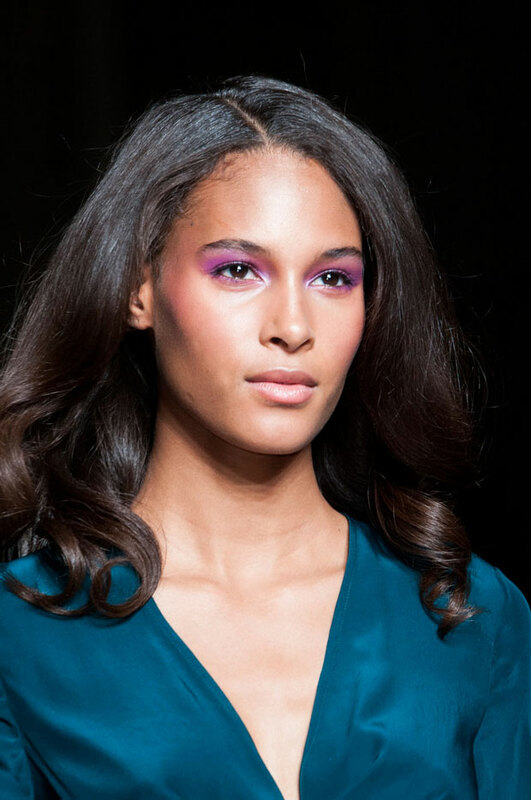 A bolder approach to the purple eye was seen over the weekend across the pond in London at the Matthew Williamson show where Charlotte Tilbury compared the look to blossoming hibiscus flowers and having a glamorous 70s feeling. Our favorite, though, came from the Vera Wang runway where makeup artist Lucia Pieroni used Clé de Peau Beauté‘s Fairy Dust eyeshadow quad (launching Spring 2015) to create a messy and rock ‘n’ roll plum smoky eye.